Great Gifts: Limited Edition Kiehl’s Crème de Corp Whipped Body Butter. 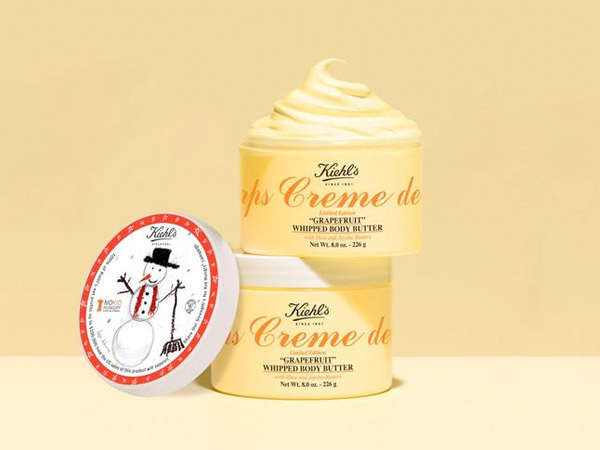 As part of their ongoing philanthropic efforts, this year for the holidays Kiehl’s has launched new, Limited Edition Creme de Corps Whipped Body Butters in exclusive scents -- Coriander and Grapefruit. Not only is it unique due to the fact that it's the first time that Creme de Corps Whipped is scented, but 100% of the profits will be donated to Share Our Strength’s No Kid Hungry campaign. I love giving back during the Holiday season, and Kiehl's efforts to support the cause to help end childhood hunger in America is to be commended! Creme de Corps Whipped Body Butter is an ultra creamy whipped formula that melts into skin. I like to apply it right after I shower because it melts into my skin when it is still wet. How cute is the label? It was designed by 11-year-old Sofie Shore, the daughter of Share Our Strength co-founder, Debbie Shore. Creme de Corps Soy Milk & Honey Whipped Body Butter in Grapefruit is available exclusively at Kiehl’s retail stores and Kiehls.com. Creme de Corps Soy Milk & Honey Whipped Body Butter in Coriander is available exclusively through Kiehl’s specialty retail partners, such as Nordstrom. They each sell for $38.00.